This year Saturn shall remain in Sagittarius in 6th house. On 23rd March Rahu shall be moving from 11th house to 12th house in Gemini. 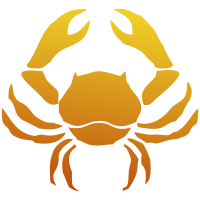 On 29th March Jupiter would enter into Sagittarius in 6th house and would go back to 5th house to Scorpio on 23rd April after turning retrograde. On 5th November Jupiter would enter again into Sagittarius in 6th house after becoming direct. This year the good news regarding progress and changes in professional life might pour in. You would be definitely successful in making new experiments and in addition to that you shall also be travelling for accomplishing your targets. This year the plans related to overseas work can be encouraged and if you wish to start some new venture you would be certainly successful. 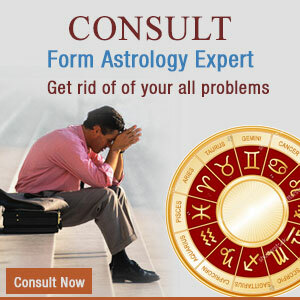 The 6th house saturn can help you in getting transferred to a place of choice. Financially it is going to turn out to be an average year. There would be continuity and stability in the inflow of money but because of increased expenses it would be a tough task to save money. You might have to spend money on your health too. You would be successful in terms of making investment for securing your future. You would also be investing on property, progress of children and performing some auspicious ceremony at home. For family life it is going to turn out to be an average year but you might not be able to give enough time to your relatives in the beginning of the year however there shall remain an atmosphere of peace and harmony in the family. You shall have good relations with your children and the planetary transit is also excellent for their progress. The transit of Jupiter in 5th house is favorable for the birth of child. You would be getting cooperation of friends and there would be an increase in their social reputation. The 6th house Saturn is indicating support from own people and your enemies would get defeated. This would be a beneficial year for children. The Jupiter's transit is indicating the birth of a child for those who are newly wedded. The time period is auspicious for conceiving too. Your children would attain progress and the good news related to children shall pour in. Educationally also progress can be expected. Your child of marriageable shall get married. You would be enjoying cooperation of your children. The progress of your children would enhance your reputation. It would prove to be an auspicious year for your health as the aspect of Jupiter on lagna would fill you with lot of positive energy. The time period is more favorable after 23rd March. For your good health follow a disciplined life style and follow healthy and nutritious diet chart religiously. Your working efficiency, happiness, positive energy and will power would go on increasing throughout the year. This year shall prove to be highly favorable for your career and competitive examination. 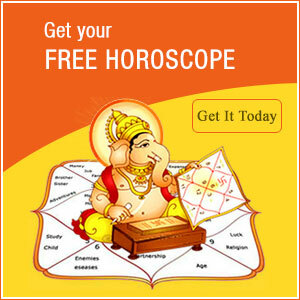 The 6th house Saturn is excellent for getting success in competitive examination. Those who are doing some kind of consultation or technical work would be getting great success in their career. This year you would be able to win over your adversaries and enemies. This would be a year of travel and investment and you would be travelling extensively and all journeys would bring in gains, new opportunities, recreation and lot of happiness for you. You would be spending lot of money on journeys and there is probability of foreign education too and in addition to that there are chances of going on pilgrimage. This year is favorable for religious activities and you shall get inclined towards such activities very strongly. You would respect your Gurus and follow their preaching. You would help the poor and perform religious Anushthaan/Yagya etc. 1. Wear DurgaBeesa Kawach. 2. Establish mahamrityunjayyantra at place of worship and light a lamp of Ghee in front of it daily.